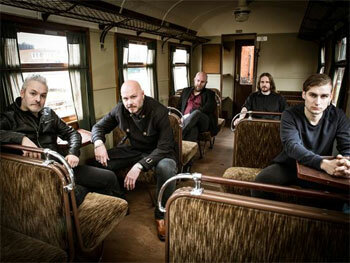 Soilwork are currently wrapping up the recordings of the follow-up to 2015's The Ride Majestic at Nordic Sound Lab studios in Skara, Sweden with producer Thomas "Plec" Johansson (The Panic Room). The as of yet untitled album is due in early 2019 via Nuclear Blast Records. "We are very excited to tour Australia again and we will bring a brand-new album with us and we simply cannot wait to release this one. We will do one EU tour prior to the Australian dates, so our fans "down under" will be among the first ones to experience our new songs live". Soilwork singer Björn "Speed" Strid on the coming album: "I'm really, really pleased with it - it's really, really cool. It's possibly the most epic and darkest album we've done. And it's also very melancholic, but it's also very sort of uplifting. It's huge. I'm really happy with it".